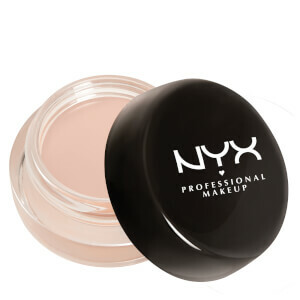 Create show-stopping eye makeup looks with NYX Professional Makeup Eye Shadow Base, a smoothing lid primer that helps to prolong eyeshadow wear whilst intensifying pigment. Creating a smooth canvas for eyeshadow application, the perfecting eyeshadow primer helps adhere product to lids, reducing fallout and intensifying colour for a flawless makeup finish that pops. Use the 'White' shade beneath eyeshadows to really intensify colour; the 'White Pearl' shade to add subtle shimmer; the 'Skin Tone' shade to even out lid colour, and the 'Black' primer to create an intense smokey effect. Use as a priming base for eye shadow or eyeliner - blend over eyelid and under the eye using fingertips before applying makeup.